The following RF design software is provided free of charge as a service to the RF and microwave design community. An archive of HPRFhelp is available here! Although no longer supported, HPRFhelp, originally Hewlett Packard's RF and Microwave Semiconductor Knowledge Base, contains legacy product and applications data not generally available elsewhere. What is New in version 4.0.0? “Auto-set Freqs From File” – This checkbox option sets Start-Stop-Step frequencies from the last file loaded. Assumes linear frequency sweep. If a file has a mixed Sweep Plan, all data points are loaded without loss of precision, however the Step frequency is set to last increment of the file. “Offset (dB)” – Applies to |S21| and |S12|. Useful to account for gain/loss offsets, e.g., PCB or text fixture loss. 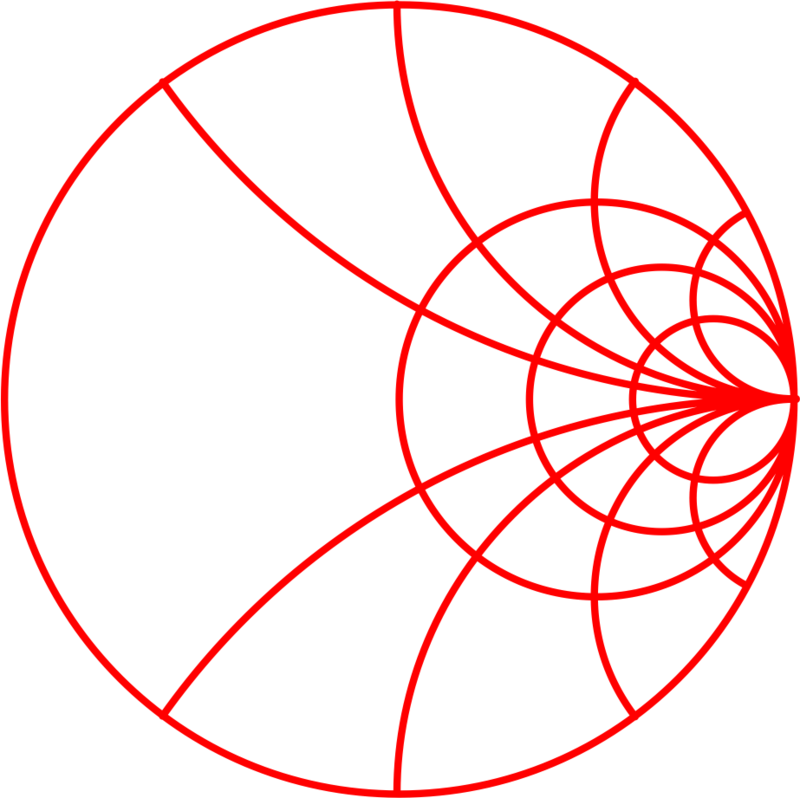 The Offset value is added algebraically to the plot. “Cascade Analysis” – applies to |S21| in dB. Plots sum of |S21| for all files checked. Multi-parameter plotting. No longer restricted to plotting parameters only from one category; e.g., can now plot Gt, VSWR, and Phase on same graph. Norton (Symantec) false positive. When attempting to download & install from www.avagotech.com, Norton 360 (antivirus software) removes the installation program from the download and says it contains the WS.Reputation.1 virus. This does not mean Norton has detected a virus. Norton uses an internal "reputation based" data base of programs as part of their virus protection scheme, and if it encounters a program unknown to Norton, it summarily quarantines it, even if it is not a virus. Instructions: Download "setup.exe" to any convenient subdirectory on your HDD. After downloading, double click this executable file from your Windows Explorer to automatically install AppCAD. Everything S-parameters is the quick and easy way of analyzing S-parameter data for devices or circuits to obtain key performance parameters such as gain, stability, reflection loss, and matching impedances. A unique feature of AppCAD's Everything S-Parameters is the ability to load up to 3 sets of SnP files and make side-by-side comparisons. This side-by-side comparison feature is exceptionally useful for comparing different devices to assist with design-in decisions, or analyzing the same device under different conditions, e.g., three different bias currents or temperatures. This feature is also useful for looking at circuit performance before and after design changes. Also unique to AppCAD's Everything S-Parameters is the 2-Port Single-ended to 1-Port Differential Impedance conversion. This function converts of a set of conventional, 2-port, single-ended S-parameters into a 1-port differential impedance. This feature is very useful for measuring balanced circuits with a standard vector network analyzer. "Commentary on Stability" ... potential instability of active devices or circuits and what to do about it. A description of calculating a 1-Port Differential Impedance from a set of 2-Port Single-ended S-parameters. A library of S-parameters for many of Agilent's new products is also installed. Check out the "Application Examples" from the menu bar for a quick start. AppCAD can update many older operating systems during installation to be compatible with AppCAD requirements.  High Color Display (16-bit/65K colors) Color depths lower than 65K, e.g., 8-bit/256 colors, will result in dithering of some colors used for AppCAD graphics and backgrounds. If you see a barfy looking background, you need to set your display to a higher color depth. Not logged on as a local user or a domain user (Win NT, 2000). You must be logged in as a user with administrative privileges to install software that uses new system components and make changes to the registry. Incomplete installation or conflicts with other running programs during installation. Try installing from a clean boot. Errors can be caused by anti-virus software. Try turning it off temporarily during installation. Error in the Windows Installer software that performs file extraction. This is a known error for Windows NT as of Service Pack 6 which requires Service Pack 6a to fix the problem, and Windows 2000 as of Service Pack 1 which requires Service Pack 2 to fix the problem. If upgrading from an older version of AppCAD, the older files should be automatically overwritten with new files. However, it may be useful to uninstall any previous versions before re-installing the new one. AppCAD is updated with new features as time permits. This web site will always have the latest downloads and version information. 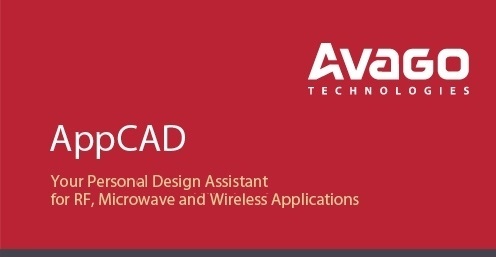 The Application Engineering staff of the Microwave Semiconductor Division of Hewlett-Packard created AppCAD as a design help for RF & Microwave (a.k.a., wireless) designers. AppCAD was then, and still is, distributed free of charge as a service to the wireless engineering community. AppCAD was originally released in 1990 by Hewlett-Packard as version 1.02 (the "Classic" version). Version 1.02 was a DOS program that was compatible with Windows 3.x. Although based on the original MS-DOS® version of RF and Microwave AppCAD "Classic," the current version of AppCAD runs on 32-bit Windows® operating systems and contains many new and innovative design programs. In 1999, Hewlett-Packard split into two companies, with the computer-related business retaining the Hewlett-Packard name ($49 billion revenue, 88,500 employees) and the test, measurement, semiconductor, and chemical analysis business sectors becoming Agilent Technologies ($11 billion revenue, 47,000 employees). At this time, the Microwave Semiconductor Division of HP become the Wireless Semiconductor Division of Agilent Technologies, which retained the AppCAD program. In 2005, Agilent spun its semiconductor sector, including the Wireless Semiconductor Division, off into a new company named Avago Technologies ($4 billion revenue, 8,500 employees). The DOS version of AppCAD still contains useful legacy calculations and is available for download, however it is no longer supported. * Now included.in the Windows version. Note that AppCAD Classic only runs on "real" DOS. With the exception of the DOS emulator packaged with Windows XP, the other Windows emulators lack the true DOS functionality required by AppCAD and will only run parts of the program. The information on this Site is provided in good faith for general informational purposes only. This Site may contain information submitted by a third parties. This information should not be relied upon for any specific purpose and no representation or warranty is given as to its accuracy or completeness.